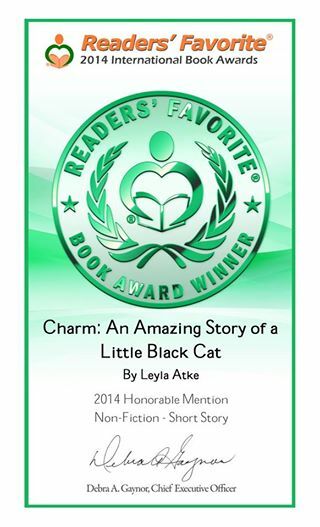 CHARM: AN AMAZING STORY OF A LITTLE BLACK CAT by Leyla Atke | A true story of love, death and reincarnation of a beloved cat. 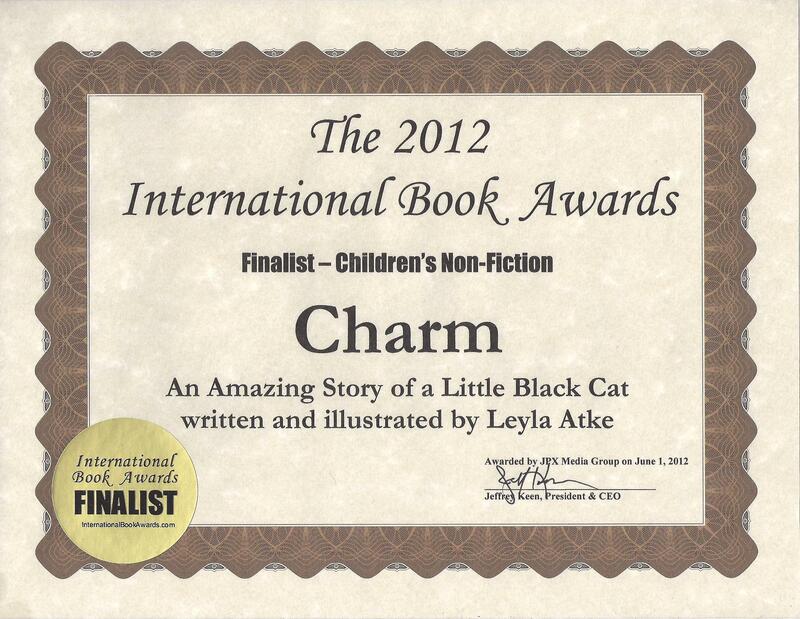 Here is what Hayley Rose says about Charm: “A beautifully illustrated, real life story of rescue, love, loss and rebirth. 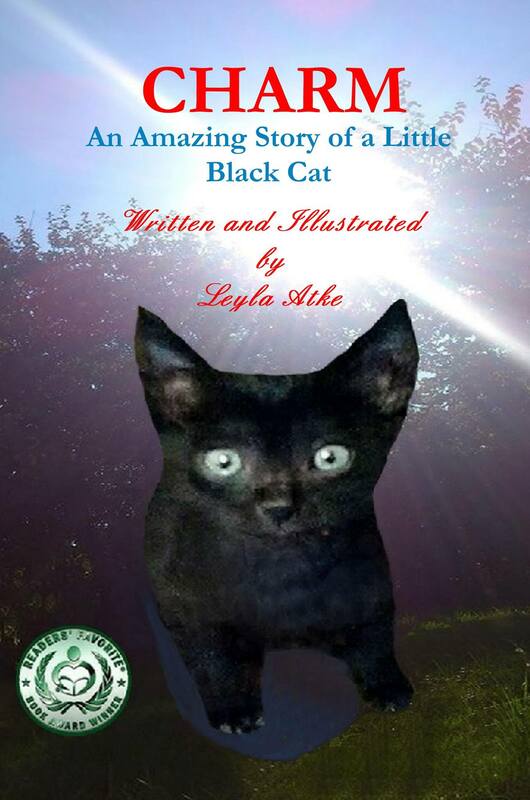 Charm is very honest account of the life of a little black cat. Full of emotion, Charm is the perfect book for anyone who has a lost or terminal pet, and a great way to start a discussion with your child. Well done Leyla”. Mary Adair says about Charm: “This is an emotional story about a beloved pet. Love and loss and healing are lessons we all must learn. This story covers all three in a way that any child or adult can appreciate. I am impressed by the way Leyla Atke expressed the painful feeling of sadness, loss and guilt to finally acceptance and forgiveness and then love for a new pet. The loss of beloved pets is something every child and parent must face. This touching story can help in the process of acceptance and recovery”. Here is what Chris says: “A delightful little story with depth of meaning inside it. Being a Religion teacher who is currently teaching a small unit on miracles, this book came to me at exactly the right time. Although some people may consider the events in this book to be coincidences, Leyla certainly shows how they can feel like miracles from God. I would recommend this book for senior primary students and it deals with a number of important issues: love for animals, particularly cats; unconditional love; loss and death; whether miracles do occur, amongst others”. #paranormal, #mystery, #magic, #cat, #animal, #pets, #adventure, #action, #shortstory, #charm, #review, #amazon, #barnesandnoble, #iba, #Midwest, #ingram .